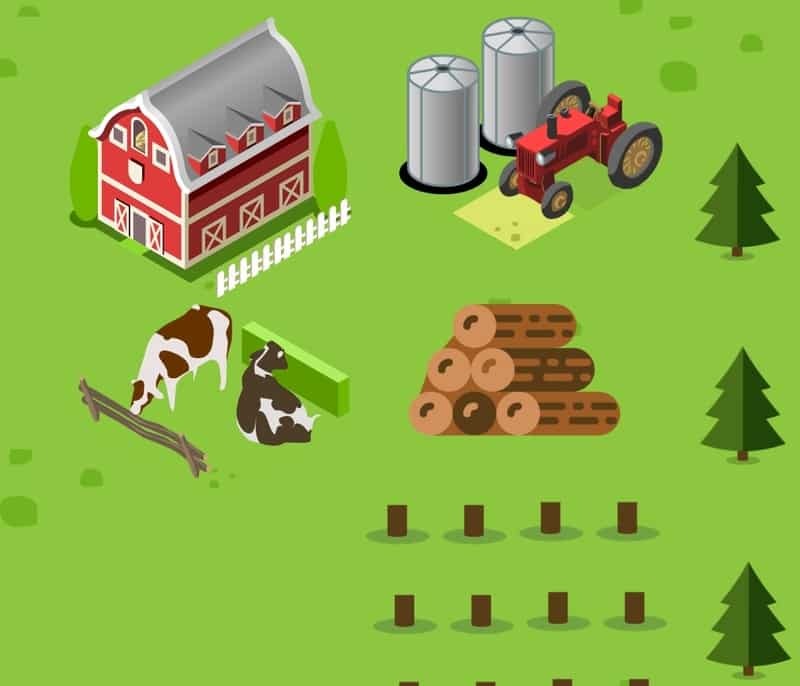 Agriculture is the practice of cultivating soil, producing crops and raising livestock. We are all familiar with traditional agricultural crops (e.g., wheat) and livestock (e.g., cattle), but agriculture also includes flower farming, medicinal plant farming and fish farming. Agricultural products are essential for our survival. They are a large part of Alberta’s economy and are an important contribution to the global food chain. How does agriculture impact water quality in the Bow River Basin? increased nutrient loading from animal waste and fertilizers. Learn more about fertiliser and manure on the Nutrients fact page. 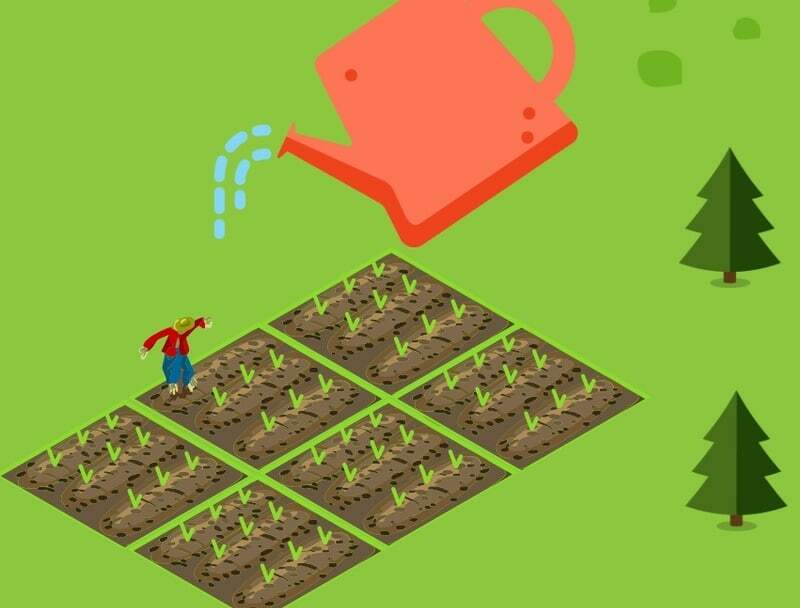 In addition to inputs and wastes, agricultural activities themselves can lead to water quality issues. Livestock drinking water from streams, for example, can damage stream banks, affecting both bank stability and vegetation. As well, soil blowing off of tilled fields can lead to increased sediment in streams. Sediment in streams can damage the eyes and gills of fish and aquatic insects; reduce sunlight in the water; and smother plants, fish eggs and invertebrates. Ensure there is a vegetated buffer zone between creeks and any areas where fertilizers are applied. This will limit the amount of nutrients entering the water via runoff. Ensure surface water and groundwater are not contaminated by animal waste. For example, different types of natural and synthetic liners underneath manure storage sites can protect surface water and groundwater. Adjust grazing intensity, keep livestock out of sensitive areas, provide alternative sources of water and shade, and promote re-vegetation of ranges, pastures, and riparian zones. Implement nutrient management plans that combat nutrient losses, help maintain high yields, and save fertilizer costs. Keep chickens, livestock and compost heaps away from any water bodies. Natural Resources Canada defines sustainable forest management as a way of using and caring for forests so as to maintain their environmental, social and economic values and benefits over time. In Alberta, timber is a valuable resource and the forestry industry is centred on harvesting trees for timber. But forests and their trees deliver extremely valuable water quality services, including slowing down water flows during rain events. Tree roots also hold soil in place, protecting soil from the crumbling and eroding effects of wind and rain. Because forests perform valuable water quality functions, logging activities can result in negative water quality impacts. Sustainable forest management is therefore, in part, about minimizing negative impacts on water quality through the appropriate harvesting and planting of trees (forest resources). How does forest management impact water quality in the Bow River Basin? During a rain event, areas that have been harvested for timber usually experience higher runoff volumes traveling downstream at a faster rate. The result: higher flows in creeks and rivers and an increased potential for erosion. Clear-cut logging and using heavy equipment to harvest trees can disturb the topsoil and undergrowth of a forest, resulting in sediment flowing into streams. Exposed soil can also release natural chemicals, nutrients and metals (e.g., mercury), which can contaminate water. 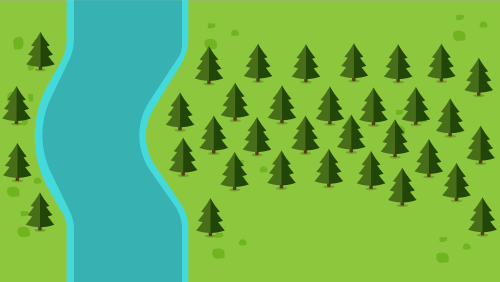 Removing trees, especially from a riparian area or wetland, may impair that area’s ability to hold sediment in place, and can capture and remove some sediment and contaminants already in the water. When these functions are impaired, water quality decreases. Like the agriculture sector, the forestry sector uses Best Management Practices (BMPs) that are designed to reduce negative water quality impacts. Reducing the damage to the soil, regenerating the forest quickly, and not harvesting on slopes or near water bodies are all good forest management practices. Some of the most important forest management BMPs include selection of access road locations to reduce potential for erosion and soil disturbance, implementing a well-designed road drainage system that reduces erosion and sediment delivery to streams, installation and maintenance of silt screens or fences, and conducting selective harvesting. Industry is a general term for the collection of businesses that manufacture, produce, or process various goods and services within an economy. There are numerous industries and commercial activities in the Bow River Basin, including manufacturing, transportation, tourism, energy production, construction, retail and wholesale, and resource extraction. How does industry impact water quality in the Bow River Basin? Industries rely on water for many processes and some industries impact water quality more than others. Water is used as a cleaner, a solvent, a coolant, and a lubricant. If water becomes a by-product of any of these uses (i.e., industrial effluent or wastewater) and is directly deposited into a water body, water quality can be directly impacted. It is interesting to note that most industrial wastewater has a higher temperature than natural source water (water in lakes or rivers). When wastewater is discharged, it can increase the temperature of the source water. Some aquatic species (such as cold water fish) are sensitive to changes in temperature and may experience adverse effects at, or downstream of, the discharge site. In addition to these direct impacts, water quality can also be indirectly impacted by the release of industrial materials into the air, which may eventually fall to the ground and be carried into the waterways. 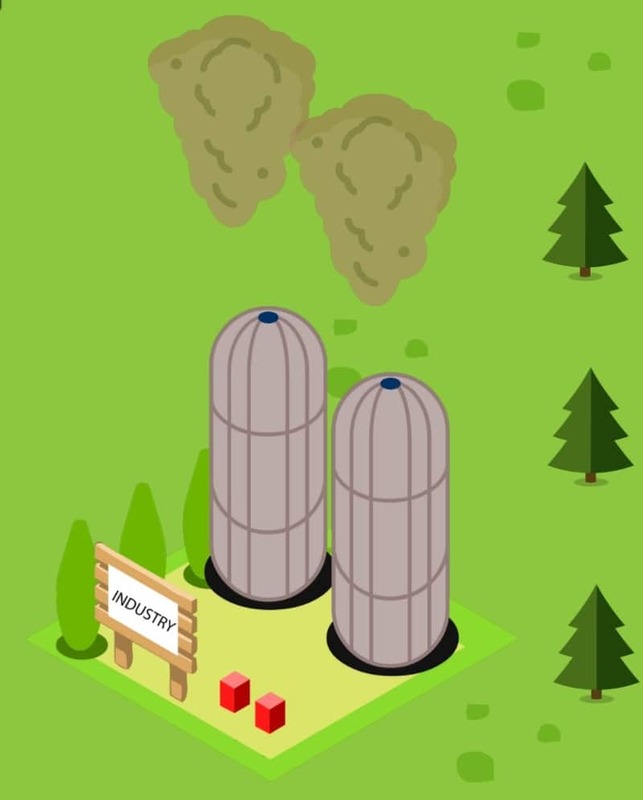 Industrial sites themselves can also impact water quality. Water pollution can be an issue at abandoned oil or gas wells, or closed-down chemical plants. Over time, waste storage facilities or underground infrastructure may become damaged and contaminants can leak into the surface or groundwater system. Contamination can also occur due to spills from pipelines, railways, or storage facilities such tailings ponds. Report instances of deleterious substances entering storm drains (contact your local municipality) or waterways by calling the 24 hr Energy & Environmental Response Line 1-800-222-6514 within Alberta. Routine monitoring of water bodies downstream of industrial activities, current and closed, can help identify if contaminants are leaking. Alberta Environment and Parks regulates the amount and release of industrial effluent to protect the environment and human health. The CCME Canada-wide strategy for the Management of Municipal Wastewater Effluent regulates management of wastewater. Hussain, M., Prasad Rao, T. (2013). Effect of industrial effluents on surface water quality – a case study of Patancheru, Andhra Pradesh, India. Current World Environment 8(3), 445-454. Irrigation is the method in which a controlled amount of water is supplied to plants at regular intervals for agriculture. It is used to assist in the growing of agricultural crops, maintenance of landscapes, and the re-vegetation of disturbed soils in dry areas or during periods of inadequate rainfall. Irrigation has a long and significant history in the economy of the Bow River Basin, with the Western and Eastern irrigation districts dating back to the 1930s and 40s, and the Bow River Irrigation District since 1950. Agricultural production in Alberta is a significant part of the total Canadian agricultural production, much of which is facilitated by irrigation. How does irrigation impact water quality in the Bow River Basin? High-volume water users, including irrigation districts, divert water away from the mainstem of the river. This changes the volume of water in the river, which impacts the capacity of the river to dilute and/or assimilate substances (e.g., sediment, contaminants, nutrients). To read more about dilution and water quality click here. Increased salt concentrations can be caused by seepage from irrigation canals and return flows from irrigated lands. High salinity can increase water treatment costs, corrode plumbing and reduce crop yields. Contaminated groundwater from percolation of irrigation water or seepage from irrigation systems can both recharge and negatively impact water quality of rivers. For example, the Colorado River receives 454 000 kg of salt annually. Elevated concentrations of selenium in irrigation drainage water are linked to waterfowl deaths, deformities and reproductive failures. The irrigation systems in Alberta are continually being updated to be more efficient with water use; improved efficiency of individual farm and ranch irrigation systems can also reduce water demand and runoff. Much of the water demand in irrigation is determined by the weather and by the type of crop that is being grown. For the most part we cannot change the weather, but acting to limit climate change may help improve water quality and quantity in the long run. Outdoor recreational activities include boating, camping, fishing, hiking, biking, off-highway vehicle use, horseback riding, swimming and tubing. Such activities are valuable for many reasons. They can improve our physical and mental health, and inspire us to appreciate and value our natural ecosystems. They can also bring economic benefits to communities. Businesses, like rafting companies, can create jobs and increase tourism. Perhaps most importantly, however, recreational activities are valuable because they allow people to enjoy and appreciate the Bow River Basin’s generally high quality of water. How does outdoor recreation influence water quality in the Bow River Basin? 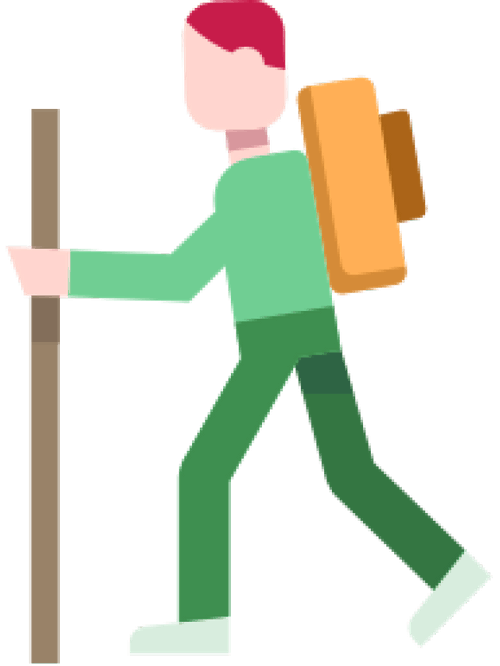 When recreationalists (e.g., hikers, bikers, horseback riders and motorized vehicle users) do not use a bridge to cross waterways (rivers or creeks), they can disturb sediment and cause it to be carried downstream. If the river or creek has an exposed stream bank, the amount of disturbed sediment can be even higher. Frequently used hillside trails are at a higher risk of damage, including soil disturbance or loss of vegetation. When this damage occurs, erosion (from rain or snowmelt) increases, contributing to higher levels of sediment in waterways. Vehicles with large tire treads can destroy vegetation and churn up the soil, resulting in increased erosion from rain or snowmelt. Increased sediment in waterways causes difficulties for water treatment facilities. Increased sediment in waterways affects the habitat of fish and aquatic insects. Sunscreen and insect repellent from swimmers can wash off into the water. Gasoline, motor oil, and other vehicular fluids can spill or leak into waterways. Improperly managed sanitary waste and garbage can end up in the water. Boats or fishing gear that are used in multiple bodies of water can transport aquatic invasive species, thereby changing ecosystems and impacting water quality. Stay on designated trails while you are hiking, biking, or riding. Designated trails are designed with bridges, walkways and sufficient space to limit impacts on water. Avoid driving vehicles through wetlands or waterways. To avoid accidentally transporting invasive species, ensure your boat, trailer, off-highway vehicle, fishing gear and hiking boots are always cleaned, allowing them to dry completely between uses in different water bodies. Fishing gear and boots can be put in a freezer to kill many attached invasive species. Utilize designated watercraft inspection stations along highways when returning from boating trips. Do not dump human waste into or near water or ice when boating, camping, recreating, or ice-fishing. Avoid spilling gas, oil, paint, varnish, or other chemicals when fueling or maintaining your boat or off-highway vehicle. Use biodegradable soap and dispose of washing water properly (in designated areas and away from lakes, rivers or creeks). 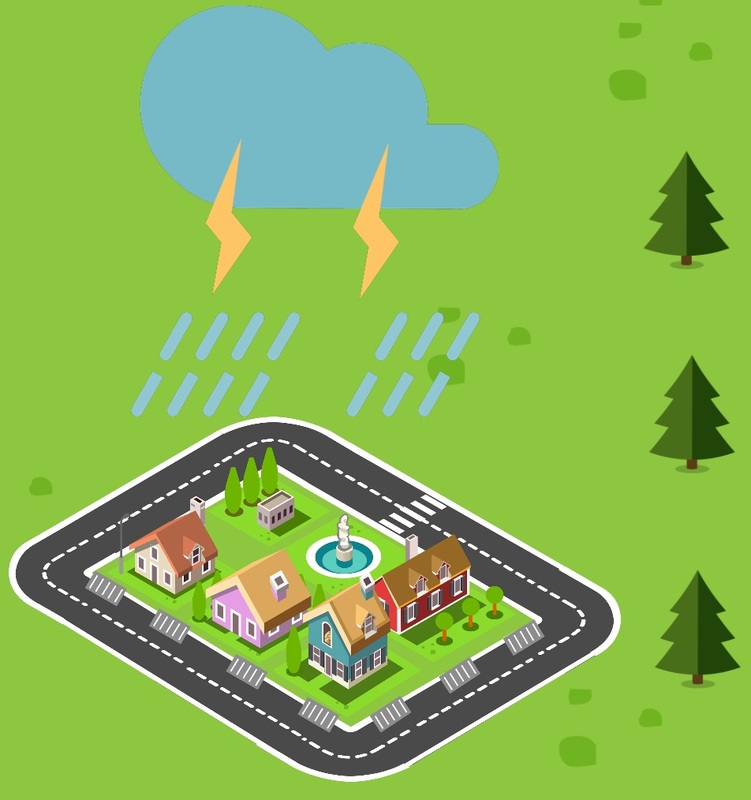 Stormwater is commonly understood as runoff, from rainfall or snowmelt events, that flows over land and constructed surfaces (e.g., roofs, parking lots and roads). Stormwater flows into storm drains (e.g., grates on the sides of streets), other stormwater management infrastructure, or directly into waterways. How does stormwater influence water quality in the Bow River Basin? As water flows over land and constructed surfaces, it picks up pollutants, sediment and debris, including motor oil, road salt, sand, fertilizer and excrement. The Government of Alberta and most municipalities have standards and guidelines in place to help ensure contaminants in stormwater are removed to an appropriate level prior to the water being discharged into a receiving river or lake. To meet these standards and guidelines, urban areas are designed to include stormwater management features. Common design features include storm drains and pipes, stormwater ponds and wetlands, and other types of green infrastructure (e.g., bioswales, rain gardens and permeable pavement), which drain stormwater and slow runoff, helping to remove some of the contaminants. Do not pour motor oil, paint, or other chemicals down any kind of drain (whether storm drains or sinks in your home). Dedicated hazardous waste facilities exist for materials like these. Garbage, household greywater (residual water from washing yourself or your dishes/laundry) and sewage should not be put down storm drains. Use care when applying fertilizer to your outdoor spaces. Consider using a drop spreader to keep fertilizer off driveways, sidewalks and roads, as this reduces how much fertilizer ends up in stormwater. Where you can, remove impervious surfaces. In some places, impervious concrete and asphalt can be replaced with porous asphalt or permeable pavement. It may also be possible to change the design to reduce the area of paved surface. Use Low Impact Development (LID) techniques in urban areas, as they can make a big difference to stormwater quality and quantity, as well as groundwater recharge. 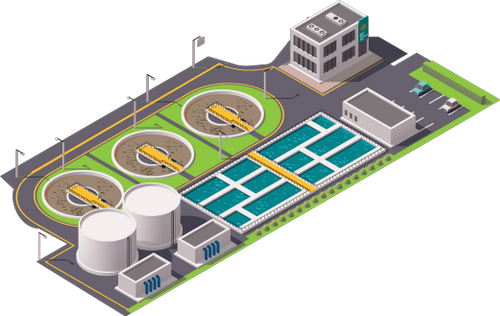 Wastewater treatment plants convert effluent (water that has been used for some industrial or public purpose) into water that can be either returned to the water cycle with minimal environmental issues or reused. How do wastewater treatment plants impact water quality in the Bow River Basin? 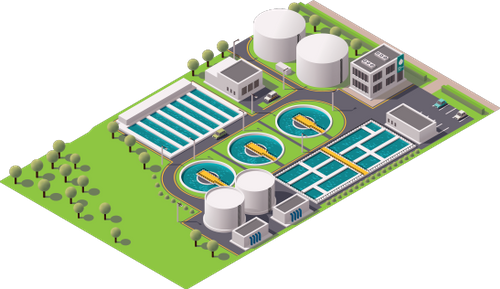 Wastewater treatment plants remove large amounts of contaminants and organic matter from the wastewater stream, thereby improving water quality. However, the effluent from wastewater treatment plants can still have higher concentrations of nutrients and other contaminants than natural surface water. Therefore wastewater treatment plants are considered a “point source” of pollution in the environment. The City of Calgary online tour provides an example of the processes undertaken at a wastewater treatment plant. When wastewater reaches a plant, it passes through screens that remove large materials such as plastic bags, toilet paper, paper towels, sticks and tennis balls. It then passes through a series of tanks where solids settle, and oils and grease are skimmed off the top. Effluent is then digested by microorganisms that remove much of the nutrients and organic material. Water is then clarified by settling, and finally, filtered and disinfected prior to being released into the river. There are numerous contaminants in the wastewater stream which are not completely removed by wastewater treatment processes. Many of these contaminants are from everyday products (e.g., medicines, household materials) and their downstream impacts are not fully understood. Some of the contaminants that are not removed by the wastewater treatment process can impact aquatic species. More information can be found on the fact page for Emerging Contaminants. The smooth operation and maintenance of our wastewater collection systems and treatment facilities depends, in large part, on what we collectively put down our drains. Grease, disposable wipes and hygiene products can cause local and systemic issues in collection systems and treatment facilities. Issues can include pipe clogging and disruption to the biological treatment processes typically at work in treatment facilities. This increases costs and ultimately results in increases of taxes or utility rates for end users. Taking all unused and expired medication to their local pharmacy for safe disposal. Avoiding flushing dental floss, bandages, wipes and hygiene products down the toilet. Avoiding putting grease or oil (and fatty foods like butter and salad dressing) down the sink. Household hazardous waste must be disposed of properly, and not allowed to leak or spill. Hazardous wastes include bleach and ammonia, batteries, latex and oil-based paints, lacquers and varnishes, oven cleaners, and petroleum-based products such as motor oil and gasoline. Hazardous wastes should be dropped off at a household hazardous waste drop-off location. Alberta’s provincial standards are more stringent than the national performance standards. The Government of Alberta has taken numerous steps to ensure the protection of surface waters, including the development of the surface water quality guidelines, and a requirement for a receiving waters assessment. For example, The City of Calgary’s Total Loading Management Plan (TLMP) is required by Alberta Environment and Parks for The City to operate their wastewater treatment plants. Another potential for reducing the amount of effluent that is returned to the river is the re-use of the effluent for various purposes, such as irrigation. The Government of Alberta has Guidelines for Municipal Wastewater Irrigation that outline specific water quality and other requirements to undertake this activity. Alberta Environment and Parks is also developing a Water Reuse and Stormwater Use Policy that will outline other ways that treated wastewater can be used to avoid discharge into our natural waterways. A wetland is a type of ecosystem that has both aquatic and terrestrial properties. There are many different types of wetlands. Some wetlands are covered by water for all or part of the year, while others do not appear wet but are sporadically or seasonally saturated and have a water table close to the soil surface. 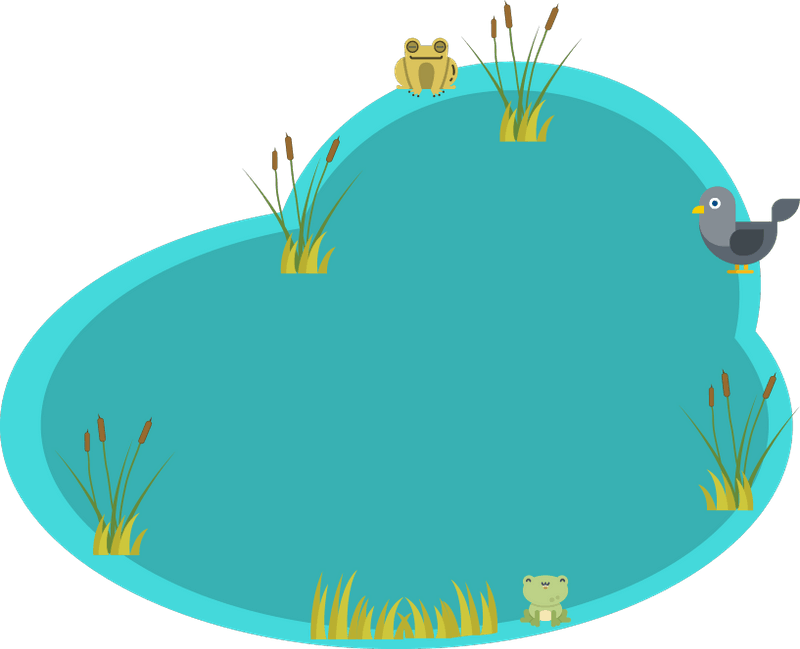 The characteristics of a wetland are determined by soil type, topography, climate, available nutrients, the types of plants and animals present, and water chemistry. The plants and animals that live in wetlands are adapted to their unique conditions, forming biological communities that are different from the surrounding area. Wetlands are among the most productive, complex and diverse habitats on Earth. They provide valuable ecosystem services, including recharging groundwater, sequestering carbon from the atmosphere, providing nursery areas for many species, and reducing the effects of drought. How do wetlands influence water quality in the Bow River Basin? trap sediment from water and slow down flow rates to allow settling and reduce erosion. Because of these positive effects, constructed wetlands (wetlands built to mimic natural wetland processes) are often used for stormwater or other types of wastewater treatment. The type of treatment required will influence the type of wetland that is constructed. See our fact page on Stormwater for more information. Wetlands improve water quality and provide valuable ecosystem services. We must therefore protect and improve the function of existing wetlands in Alberta. We must also construct additional wetlands for stormwater and other wastewater treatment. U.S. Environmental Protection Agency. (2015). Connectivity of streams and wetlands to downstream waters: A review and synthesis of the scientific evidence. EPA/600/R-14/475F, United States Environmental Protection Agency, Washington, DC. 388 p.
Wildfires are fires, started by natural causes or human activities, that burn large areas of vegetated land. How do wildfires impact water quality in the Bow River Basin? Lingering firefighting chemicals left in the soil after a fire can degrade water quality. Following a wildfire, large amounts of sediment and organic matter (e.g., ash and dead plant matter) may be introduced into waterways. Soil no longer held in place by vegetation and tree roots also washes into streams. When a fire removes all vegetation and trees from a large area, rainfall and snowmelt flows off the land at a much quicker rate. This causes stream bank erosion and increases sediment loading, and can sometimes result in flooding. The heat from a fire can damage the soil structure, making it easier for erosion to occur. When a fire burns vegetation, and heavy metals and nutrients are exposed and washed into streams, the pH and other chemical properties of the water can be changed. 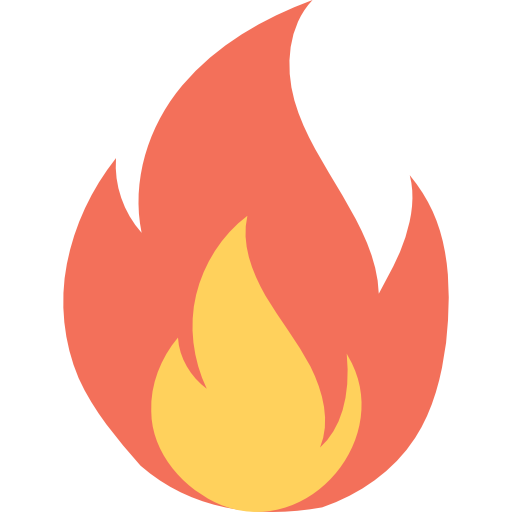 Be very careful with campfires and backyard fires to ensure they do not spread. During a fire-ban, respect all regulations. Make sure to report any signs of wildfires you see. Obey area-specific signs posted by local fire and rescue operations. Tecle, A., Neary, D. (2015, July 14). Water quality impacts of forest fires. Journal of Pollution Effects and Control. 3:140.